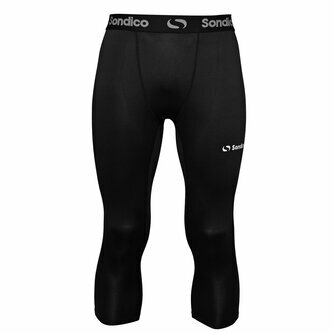 These Sondico Core Three Quarter Base Layer Tights are designed to offer a close and comfortable fit during training to give you maximum performance. They have an elasticated waistband, elasticated fabric to offer a compression fit and flatlock seams to reduce irritation. Sondico branding completes the look.